At Steps Ahead we take pride in doing things outside of the dance studio as well, along with traveling to competitions and dance conventions, SADS dancers had the opportunity to take center stage at Madison Square Garden and dance at a Knicks game. We additionally took part in dancing at half-time at a Net's Game, an engagement flash mob and danced at special events at local public schools. Our dancers also do charitable work by dancing at functions for C.H.O.P., Autism Awareness, Dance for A Cure, American Cancer Society, JDRF such as "The Little North Pole" and ABC's "The Great American Light Fight" and many more. Moreover, our dancers are honor students, actors, artists, cheerleaders, gymnasts, musicians, and play various other sports. They are focused and well-balanced people who care about success and people. 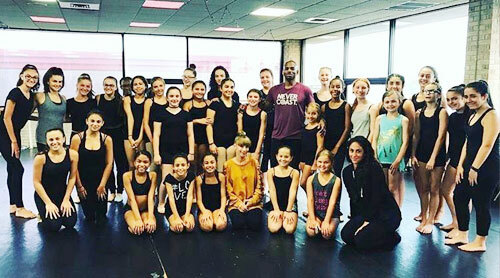 In these 26 years, because of Steps Ahead Dance Studio's quality foundation training, many of the Steps Ahead Dancers have gone on to accomplish many amazing things in dance. Many have been accepted to performing arts schools such as LaGuardia Performing Arts High School, Mark Twain School for the gifted and talented, Professional Performing Arts HS, the Frank Sinatra School of the Arts and the Arts Program at St. Francis Prep. Others have been chosen to dance/choreograph at renowned programs and shows like The American Ballet Theater, Martha Graham School, The Alvin Ailey School, The Summer Arts Institute, Pacific Coast Dance Fest, "Beatstock", "Disco Ball", Big Brother/Big Sister foundation of NY, "Hollywood Stars Pageant and Talent" for the TLC show Toddlers in Tiara, "Disney" Musicals in Schools, Ashley Rich Project, Capital Funk, Urban Dance League, B3W, Lincoln Center, The Kennedy Center, SOCAPA Summer Arts Programs, An Evening of Work with Nathanial Hunt, just to name a few. Our dancers also have received numerous scholarships to colleges in the field of dance. The S.A.D.S dancers know how to take their love of dance to the next level. Their accomplishments are true testaments of the work that Steps Ahead does.